1829, Paterson of Carmichael. Single-span, segmental-arch cast-iron footbridge, approx. 30 feet long and 2.5 feet wide, spanning the Clyde from the east bank of the river to an island overlooking Bonnington Linn. Two ribs cast in three sections, morticed and bolted together. Slightly tapered parapet railings. Decking, handrail and alternate balusters are missing (1994 and 2007). This bridge is significant as one of the elements providing access to the picturesque landscape around the Falls of Clyde, which was developed by the surrounding landowners to encourage tourism in the late 18th and early 19th centuries. It admirably illustrates the lengths taken to access picturesque viewpoints in vertiginous situations, here above Bonnington Linn, and is one of a number of iron bridges in designed landscapes and country estates that are now rare in world terms. It is also has engineering interest as one of the oldest surviving cast-iron footbridges in Scotland, and as the only known example of a bridge made by its manufacturers, Paterson of Carmichael. Although the bridge has lost its timber deck, railing (probably chain) and part of its balustrade, its principal structural elements remain intact and in relatively good condition. It is interesting as a surviving example of a cast-iron footbridge, although not as ornate as examples illustrated in Paxman and Shipway's Civil Engineering Heritage. The earliest examples of cast-iron bridges in Scotland date from after 1813 and this one belongs to the first generation of cast-iron bridges, which gained popularity in Scotland in the 1820s and reached their apogee in the 1850s and '60s. 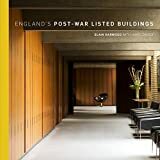 Few examples of this construction type exist outside Britain, and all surviving examples are considered to be of interest as they add to our knowledge of engineering. This is the only known bridge made by a local iron founder, Paterson of Carmichael, whose mill and foundry was situated by Hyndford Bridge. 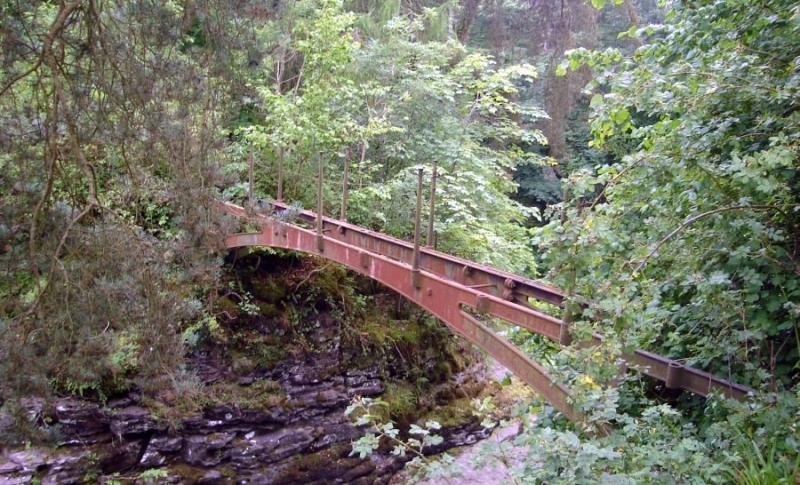 The bridge was erected as part of improvements instigated by Lady Mary Ross on Bonnington Estate, and was commissioned to facilitate viewing of the Bonnington Linn Falls. It is one of a number of structures built in the landscape of the Bonnington that made it possible to access the scenery which inspired awe and emotion in the viewer, another being Bonnington Pavilion overlooking Corra Linn Fall. The Bonnington Estate was one of several estates surrounding the falls of Clyde to carry out improvements to heighten the enjoyment and facilitate the viewing of this picturesque area by paying tourists. The Falls of Clyde Designed Landscape is one of the most significant examples of the picturesque movement of the late 18th and early 19th century in Scotland. Lady Mary Ross, who is credited with the design of the steps known as 'Lady Mary's Steps' which gave access to the foot of Corra Linn and this bridge, was the wife of General Sir Charles Ross who inherited the estate from Admiral Sir John Lockhart Ross on the latter's death in 1790. She and her husband implemented many improvements to the estate during the period 1800 to 1830 which, as well as viewpoints, included the development of paths, rides and garden buildings. The island accessed by the bridge is a rock outcrop, 75 feet at its widest, situated near the east bank of the Clyde with the main part of the Bonnington Linn falling in two steps to its west. The remains of a 17th century beehive dovecote that of Bonnington estate, are situated on the island. The dovecot was altered to create a 'thatched temple' (circa 1800) and has also been depicted as a ruined castellated tower.